It was not clear if and when the feature was actually going to be implemented, though, as Apple stripped all mentions of it from the iOS 11 website. As of iOS 11.3, Messages in iCloud is back and is available for "testing and evaluation purposes," marking the official return of the feature. 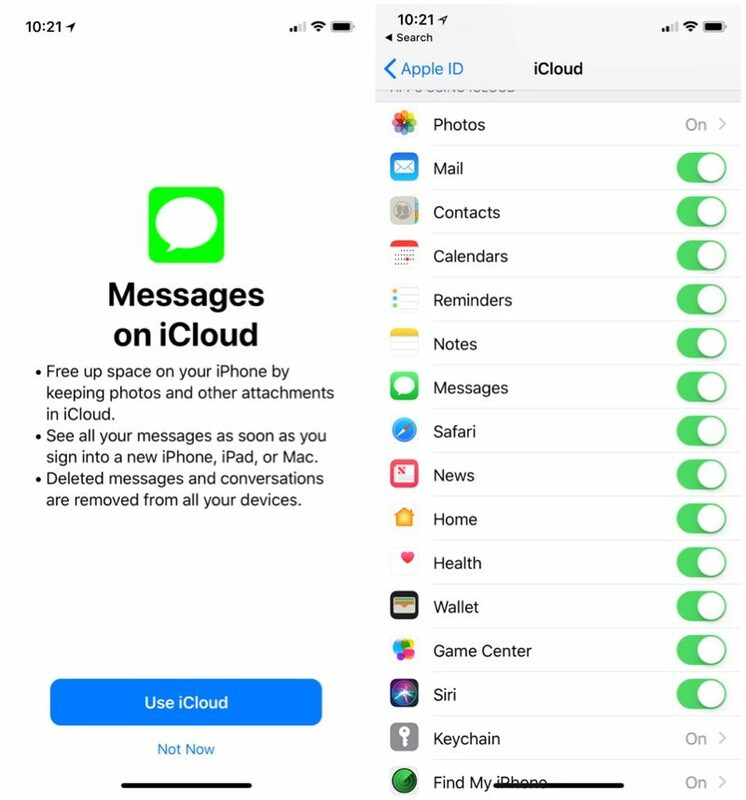 According to Apple's release notes, once iOS 11.3 beta 1 is installed, Messages will prompt users to turn on Messages in the Cloud when it is first launched. I'm so excited... for people to stop whining about this. Do messages count against your 5GB of iCloud space? I'm assuming they do. Yes, but if you are already using iCloud Backup on your iOS devices you can actually save a lot of space because your messages are only stored in iCloud once, rather than backed-up from each device separately. Sigh. No one is ever happy about anything. Possibly now the masses can find something out to whine, stamp their feet and hold their breath until they have it their way. I'm going to assume it came late because it wasn't ready and instead of releasing it in a buggy state they held it back. You can breathe now and move on with your lives. Woohoo! Also, since some people have gigs of messages, why not also increase your default iCloud storage space? 15 gigs would be nice. Im baffled too. What value does this actually add other than allowing a 3rd party to access your "encrypted" messages stored on iCloud? I assume that you could set an iPhone up as new, and still get your messages back via iCloud sync. I find, this is often the thing people are worried about the most, when asked to setup as new. Ok, what's the next topic for the forum to whine and b*tch about? Woooohoooo! Finally! The main iOS11 feature I was looking for! Why the hell would you want to keep your messages for ten years? Don't understand this. I delete all my messages daily. I build houses. I often text clients to get an ok on something or other and like having a record. Just one of many reasons I like to keep texts. iOS is now officially complete. No further updates necessary.